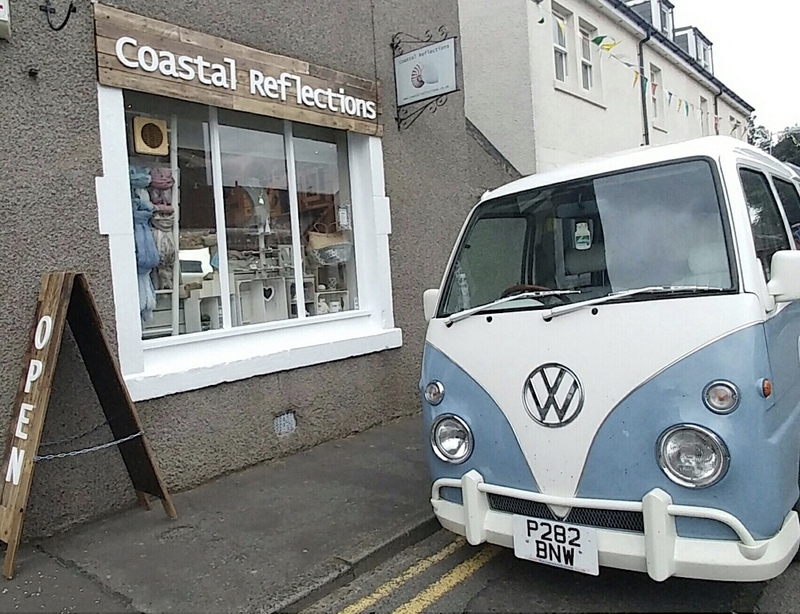 Follow Fife blogger Funky Ella as she discovers some shopping gems on her Fife travels. Christmas is upon us and it’s time to shop for that perfect gift. Luckily Fife has a huge selection of independent gift shops which sell lovingly made products that would make perfect Christmas pressies. I spent last week visiting the villages and towns in Fife to bring you some ideas for finding the ideal gift for your family and friends. This shop is so cute, I love everything they sell and I could easily spend a fortune on pressies for myself. If your loved one loves the beach, or their home has a rustic white washed coastal theme you’ll find loads of possibilities here. The silver jewellery they stock is stunning too. The Christmas range is beginning to come in now, I spotted some beautiful candles, including a gin and tonic one and a prosecco! I heard of this shop from a friend and had to visit. Have you heard of “Hygge”? It’s a way of life in Denmark, involving cosiness, roaring fires, wool socks, hot chocolate and candles. It’s being cosy in a comfy chair with a good book and a big woolly jumper, it’s warm lighting, home made cookies and sheepskin rugs. Pretty perfect for a winter in Scotland I think. This lovely little shop has colourful tea cosies, handmade spiced apple and cinnamon candles, lots of gorgeous books and a whole load of classy and beautiful nik naks that would make the ideal gift. This gift shop occupies the corner of the main shopping street in Cupar and sells an amazing handpicked collection of prints, paintings, jewellery, textiles and ceramics by over 70 artists. I found loads I could buy as presents and even more I could buy for myself! Although there are plenty of these stores around the UK each is individually owned and therefore completely unique. The shop in Cupar is a classic, traditional toy shop and when I visited I was transported back to my childhood. These big national companies may have the flashy signs and big brands but I much prefer a small independent store where each toy is lovingly picked to make sure your little one can find their dream toy. This gem is somewhere I visit every time I’m in the village. In what was once, I’m guessing, a cottage, lies several wonky little rooms filled with one of the best ranges of gift ideas I’ve seen. You can easily while away an hour hunting around the different cubbyholes, filling your arms with unique and quirky pressies. This imposing building, built by Francis Deas (Provost of Falkland) in 1819, houses an eclectic array of paintings, jewellery, ceramics and prints. The collection includes artwork featuring Scottish artists. For a gorgeous collection of clothes, scarves, cosy home wares and beautiful gifts, this cute little shop is a favourite of many members of my family. With gifts handpicked by the owners who travel the country to find unique products, Gibbles has an amazing range of cards and home accessories. This small independent shop opened in 1998 and has since expanded, proving it’s not only me who enjoys a browse here. The windows at The Flower Store draw you in with the unique and colourful Christmas decorations. There is always something here I wouldn’t be able to find anywhere else and the fresh wreaths are stunning. Perfect for the Christmas flowers for your dining table or you could buy a big bouquet for your host. Everybody knows somebody who loves old fashioned sweeties and this little shop has rows and rows of them. For over 100 years Burns has been serving generation after generation of families. How lovely would a wicker basket filled with all your loved one’s favourite treats be? For a wreath for your front door, a hamper full of Scottish foods or some delicious chutney for Boxing Day, this farm shop has everything you need for a good old Scottish Christmas. Jams, meats, a turkey, breads, steak pie, chocolates, cheese...the list goes on. One of my all time favourite shops it’s especially tempting in the festive season. The cards here are always brilliant and I love the selection of notebooks and diaries. Upstairs you’ll find candles, scarves, Christmas decorations, bath and soap stuff and lots of other nik naks. 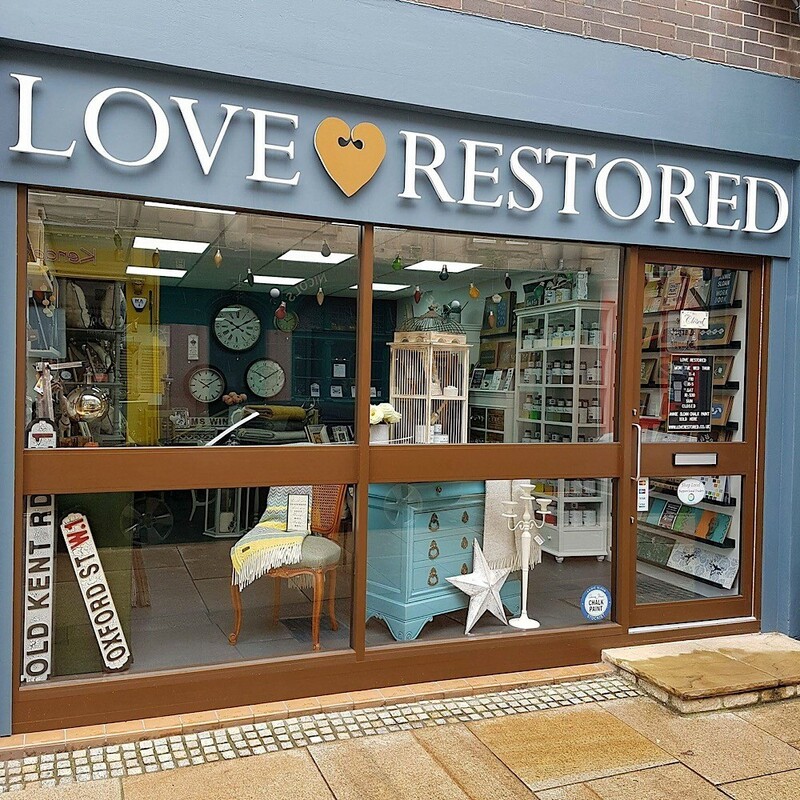 Love Restored on Kirkcaldy High Street is run by Nadia and Lorraine who wanted robust sturdy furniture, so taught themselves how to restore and refurbish vintage furniture. The shop is gorgeous and not only stocks the stunning furniture but also the tools so you can do the same. There is also quirky and modern homeware and they always have a brilliant range of christmas bits and pieces. Workshops are also held regularly and includes classes on brightening up your chairs, Annie Sloan painting (which they also stock) and they even have a pom pom felt stocking workshop for Christmas. Established in 1996 in the Mercat shopping centre, it’s the place to shop for gifts in Kirkcaldy. Disney fan? The shop has an impressive collection of Disney collectibles, cuddly toys and ornaments. There is also an excellent range of personalised gifts and loads of unique home wares, candles, jewellery and novelty gifts. This huge independent department store has been on St Clair Street in Kirkcaldy for over 60 years. With loads of exciting departments, including a massive gift range, a craft floor, an artificial flower department, a cafe, agallery filled with local artists and a wonderful Christmas department (with a Santa’s Grotto which is free to visit), Rejects is a must visit at this time of year. Do you have a favourite shop you visit in the festive season? Don’t forget lots of shops extend their opening hours in December giving you more time to shop. There are also lots of Christmas events held throughout Fife such as late night shopping in Falkland, a food weekend at Bowhouse and Christmas shopping days in Culross.